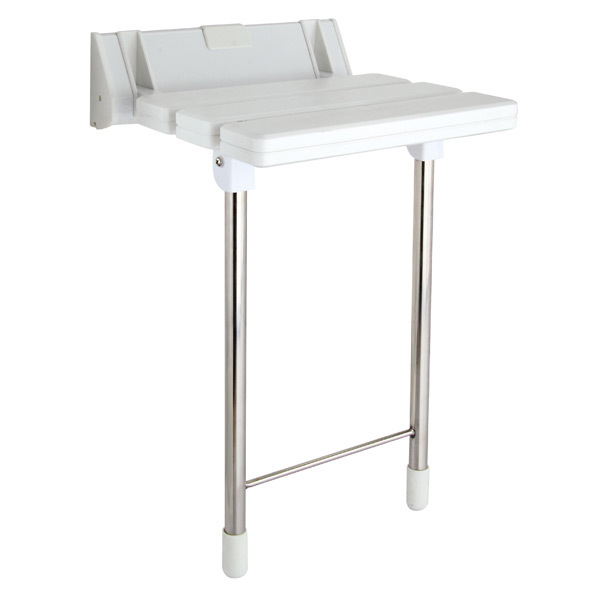 To support heavier weights the standard Phoenix fold up shower seat has been upgraded with the addition of stainless steel support legs. The seat itself has a durable white surface that is easy to keep clean and is perfectly comfortable for the duration of a shower. Fastened securely to the underside is a pair of pivoting support legs that also fold flat to the wall when the seat is up. Constructed from stainless steel they won't rust when put into regular contact with water and more importantly they're amazingly strong. You or your loved ones can take a comfortable shower in confidence that the seat below will give you all the support you require. Buy for a fraction of the cost of what a dedicated mobility retailer would charge.